The Diamond is available in boost and non-boost for 27.5 and 29er/27.5+. Travel is adjustable from 130mm to 170mm. Before explaining the what, it helps to understand the who. While DVO may not be a name some are familiar with. This is not a fly-by-night operation that popped up out of nowhere. Indeed, the majority of the suspension maker’s core team once served a similar role with Marzocchi, which before being driven into a financial ditch was one of the sport’s most respected suspension innovators. 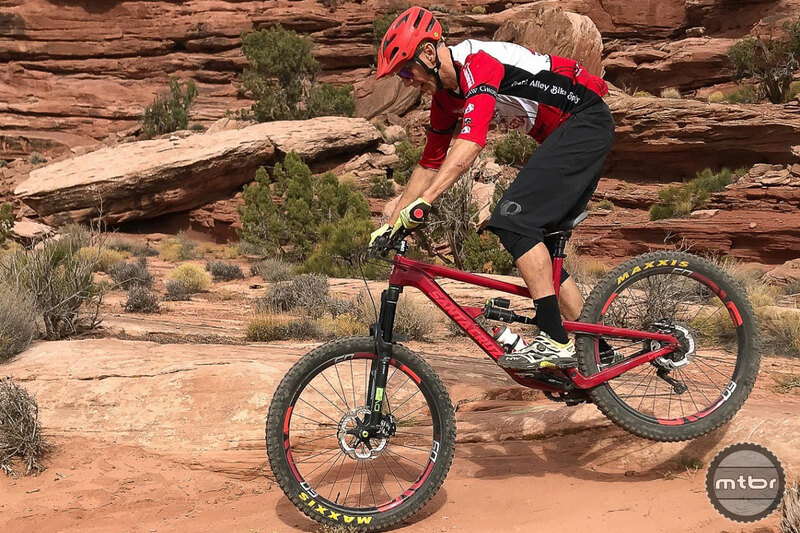 After some time to regroup, DVO sprung from those ashes and has quickly established itself among mountain biking’s top aftermarket sellers. Check out the Mtbr review of the DVO Topaz T3 Air Shock here. 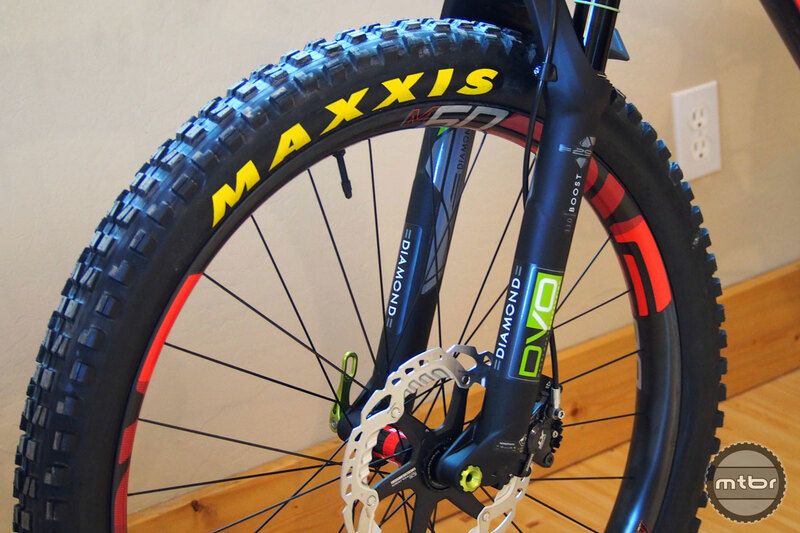 As the name implies, the DVO Diamond 110 Boost is the wide-hub-friendly version of their popular trail/enduro suspension fork. 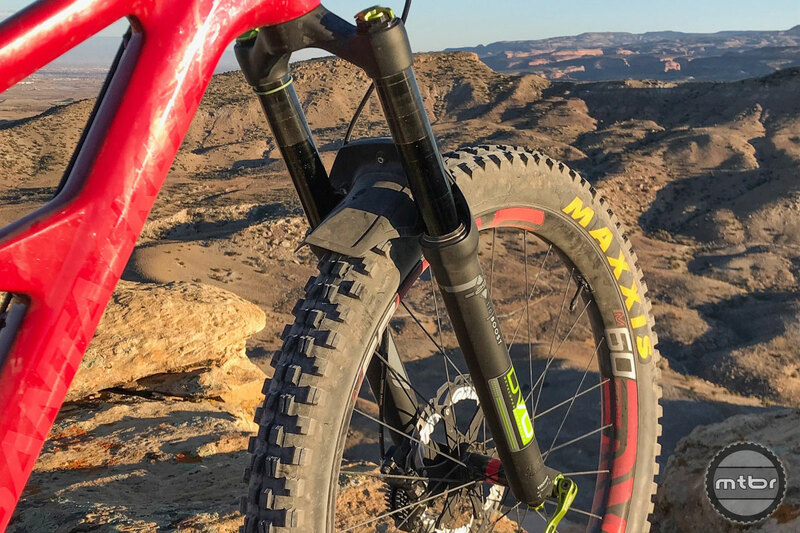 Top line features include sturdy 35mm stanchions, travel that’s adjustable between 130mm and 170mm via internal spacers, and versions for both 27.5 and 29er/27.5+, which is what Mtbr has been testing. Our travel length was set to 150mm and the fork was spec’d on this tricked out Santa Cruz Hightower dream bike. The Diamond on this Santa Cruz Hightower has been a capable companion for hits big and small. 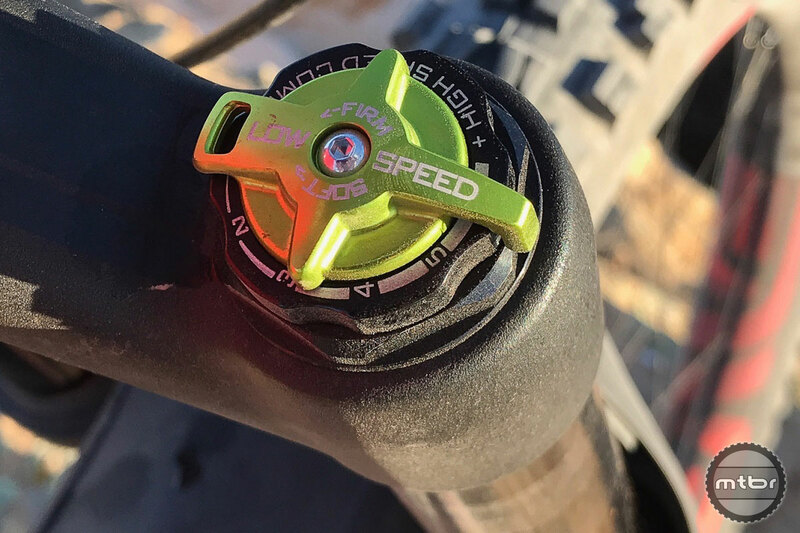 The rest of the Diamond’s elevator pitch includes easily accessible high speed and low speed compression adjustment, and what DVO calls OTT or off the top, which essentially means you can externally adjustment the preload on the negative spring, giving you 100 percent control over the initial stroke. Meanwhile, you set air pressure to dial-in mid-stroke support and bottom out. Axle configuration is 15mmx110 and pre-cut fork weight was 2170 grams (4.8 pounds), plus another 64 grams for the skewer. High and low speed compression are easy to access and adjust. The best mountain bike forks are the ones that you don’t have to think about. Aside from dialing in initial settings and occasionally checking air pressure, they just work and work well. Small bump sensitivity is buttery smooth, mid-stroke support is solid, and they rarely bottom out or flex when being driven hard. DVO’s Diamond 110 Boost falls solidly in this high-functioning category — and brings a little extra to the table. For many riders, especially those on the heavier/aggressive side, suspension comes with inherent compromise between smooth off-the-top operation and providing enough big-hit support so you don’t bottom out every time you charge off a drop or launch a jump. In many cases, big guys are forced to put up with a stiff initial feel in order to preserve that all important end stroke. 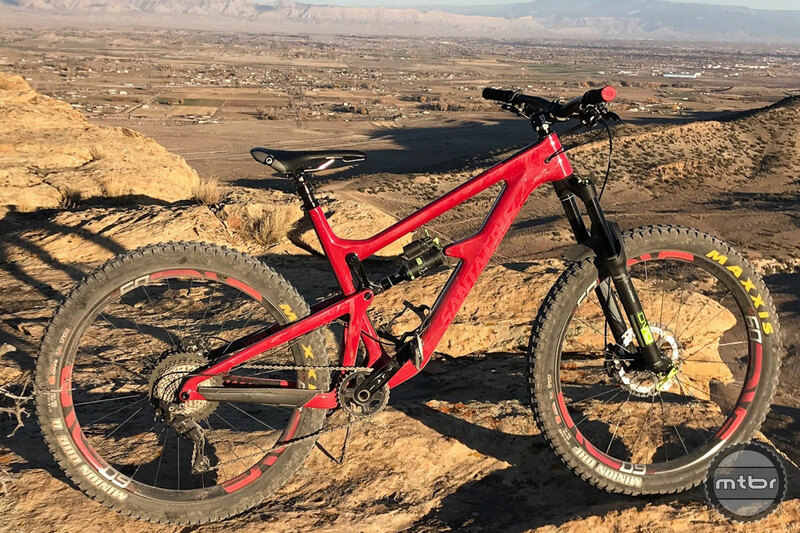 The pairing of DVO’s Topaz T3 Air shock and Diamond 100 Boost fork have turned this tester Hightower into one of our favorite do-it-all trail bikes. DVO’s Diamond is different. Utilizing a function conveniently named Off The Top or OTT, users can tweak the preload of the negative spring. Yes, the adjustment requires a 5mm hex key and the knob on the bottom of the left fork leg has very subtle detents that are a little tricky to keep track of. But once sorted, this fork does an amazing job of smoothing out chop in the first 20% of the stroke, while still allowing for enough air pressure to preserve critical support further along the travel continuum. Press play for further explanation. The Diamond also gets high marks for ease of on-the-fly adjustment. Both high speed (30 clicks) and low speed (6 clicks) compression are conveniently located within arm’s reach on the top of the right fork leg, and in this case both knobs are easy to keep track of when turning. It’s a similar story with rebound (20 clicks), which is in its usual locale at the bottom of the right fork leg. Rebound and HSC were mostly a set-and-forget proposition, but we often toggled the LSC adjustment into the closed position when climbing. We also loved the included fender and mount, which screws into place, meaning no ungainly zip ties messing up the look of your front end. Mtbr loved the beefy 35mm stanchions and seamlessly integrated fender. The Diamond also utilizes a closed cartridge bladder system, which is compressed rather than expanded. 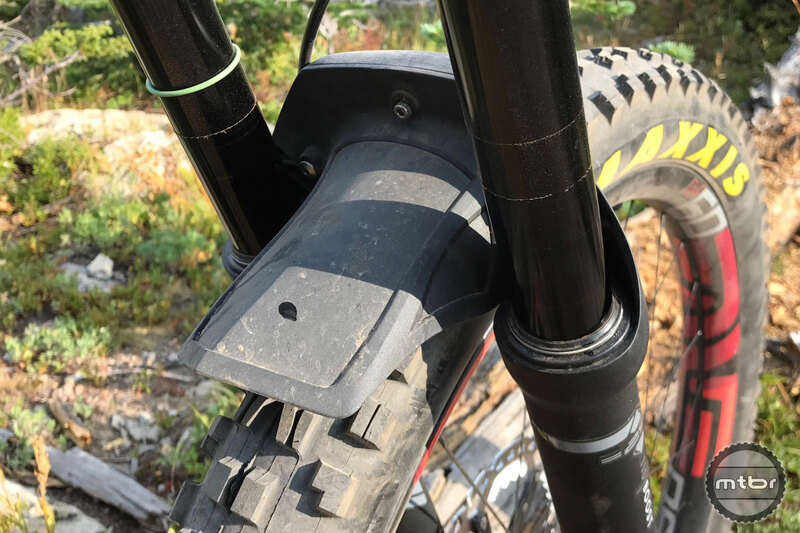 Without going too far down the tech rabbit hole, this set-up both improves durability and further enhances small bump sensitivity, which we found to be noticeably better than a Fox 36 spec’d on another test bike we’ve been riding recently. And because the Diamond’s air and damper circuits are sealed, you can remove them for service or replacement without having to jam the entire fork into a UPS box. 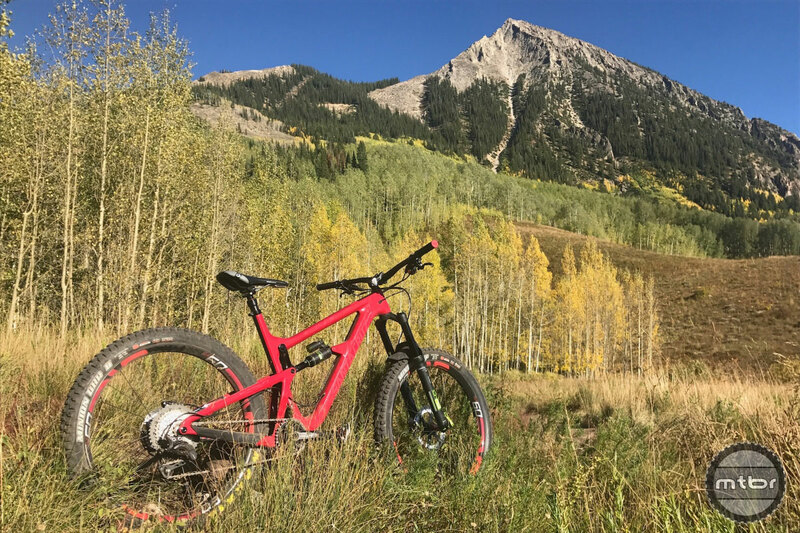 Among our go-to testing grounds, Crested Butte Mountain Resort’s Evolution Bike Park. Bottom line, it’s not the lightest fork in this class (roughly 150 grams heavier), you can’t add tokens, and the price will make some eyes water. But the DVO Diamond is bar none one of the best trail/enduro forks we’ve ridden in a long time. It’s highly adjustable, has silky initial movement, and doesn’t blink when being pushed hard in non-stop high speed chunk. Just get air pressure set for your desired end stroke feel, tweak OTT for small bump sensitivity, and then go to work on LSC, HSC, and rebound. It takes some time at first, but the end result is a fork that will essentially feel perfectly matched to you and your riding style without compromises. And if you need help, DVO has a superb library of on-line tutorial videos. The Diamond comes in three stock colors (black, bright green, and brown). 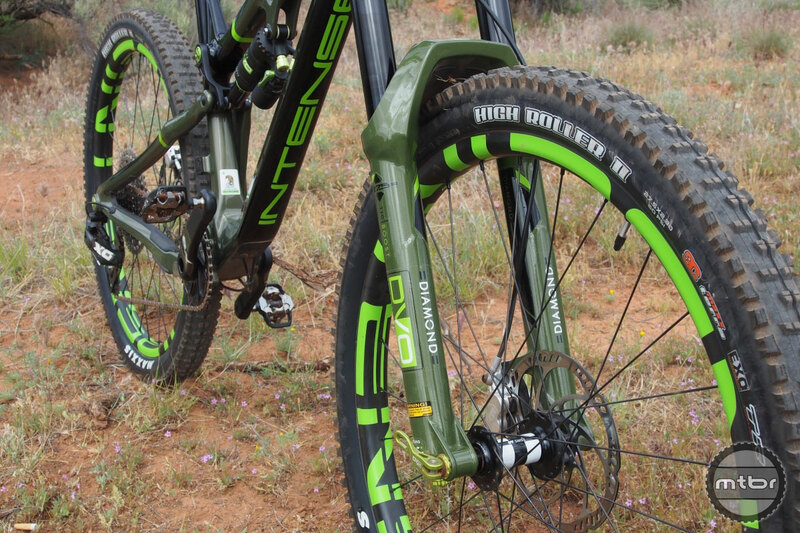 DVO has also created some custom colors, including this partnership with Intense on the Recluse DVO bike. The OTT function is especially beneficial for heavier riders who run high amounts of air pressure. Bar None the best fork, shock and seat post I have ridden to date. Ellsworth Epiphany DVO Boost 110 27.5 front, Topaz Rear and Garnet seatpost. THIS COMPANY GETS IT I have called several times with questions on tune and service Ronny has been right there with easy answers and there website is great with DVO rider connect, tuning and service videos and great support. Coming from the big 2 over the last 30 years this has been a breath of fresh air actually getting service instead of send it to us and everything we do is 200.00 or more and 2 to 4 weeks of not riding . My LBS tries their best but they cannot get past it either. The small weight penalty is nothing compared to the serviceability. I have been running this setup since June 4 to 8 hours a week and had no issues at all…Love em so far. How funny is it that we are going back to 110 spacing. Up next, 110×20! I appreciate your review. Given that fork reviews are so subjective, it would be nice if suspension reviews start including data that supports the claims of small bump sensitivity and mid-stroke support. I’d rather a fork be hooked up to a machine that showed the characteristics than read a subjective impression of the fork’s properties. It is really a problem with all fork reviews and since often we cannot try a fork before buying it, the more objective the data…the better we could make decisions. Perhaps one of the best fork reviews/comparisons I have read is this one… http://enduro-mtb.com/en/best-160-mm-mtb-fork-can-buy/2/ and the DVO was well rated in that one. This is true for everything in the bike industry. So much marketing-speak and pseudo science. Power transfer, mid-stroke “support”, wallow – what the hell is any of that psycho babble?